Home / Campus & Culture / Artwork by Fine Art and Design majors on Exhibition in the SUNY Student Art Exhibition in Albany. Artwork by Fine Art and Design majors on Exhibition in the SUNY Student Art Exhibition in Albany. 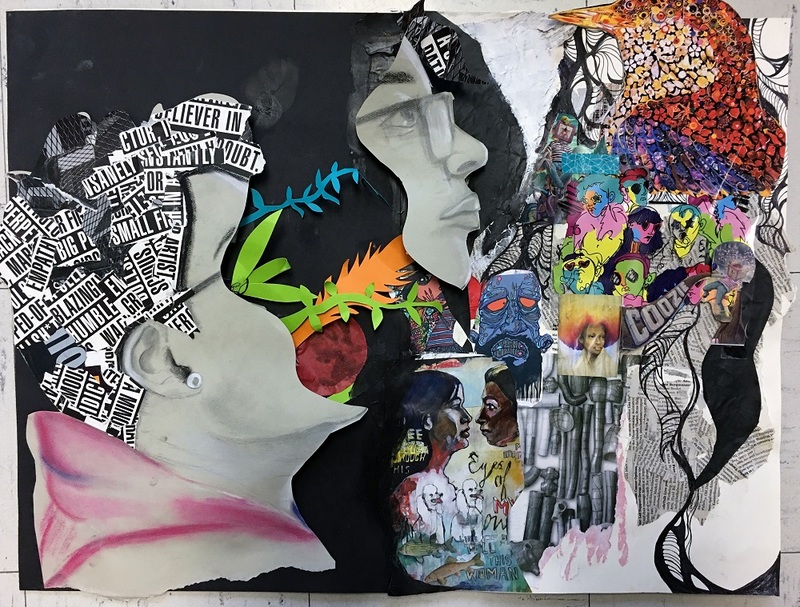 December 19, 2018 – Stone Ridge, NY – Artwork by SUNY Ulster Fine Art and Design majors has been selected for exhibition in the SUNY Student Art Exhibition in Albany. SUNY Ulster faculty selected the work of six SUNY Ulster students and recent graduates to be shown in this annual exhibition. The SUNY Ulster students selected are: Kat Aponte (Kerhonkson, Fine Arts major), Victoria Barringer (Kerhonkson, Fine Arts major), Amari Brodhead (Kingston, Fine Arts major), John Dell’Olio (Westbury, Advertising, Design and Graphic Technology major), Liz Galeano (Highland, Class of 2018 Advertising, Design and Graphic Technology major), and Keira Swisher (Kingston, Class of 2018 Fine Arts major). The exhibition will be held at The Plaza Gallery in Albany’s SUNY Plaza. It is open to the public during regular office hours. The artwork will remain on display through May 2019. The SUNY Student Exhibition is an annual showcase of the art projects from art departments throughout the SUNY system. Every SUNY campus is invited to select the top seven art projects from their departments and exhibit them in The Plaza Gallery. An invited juror will select the best work from this exhibition for a summer show, the Best of the Year SUNY Student Exhibition. Students are eligible to receive awards in the Best of the Year exhibition. SUNY Ulster has participated in these SUNY-wide exhibitions since 2003. For more information, contact Deborah Kaufman at kaufmand@sunyulster.edu or by phone at 845-687-5261.